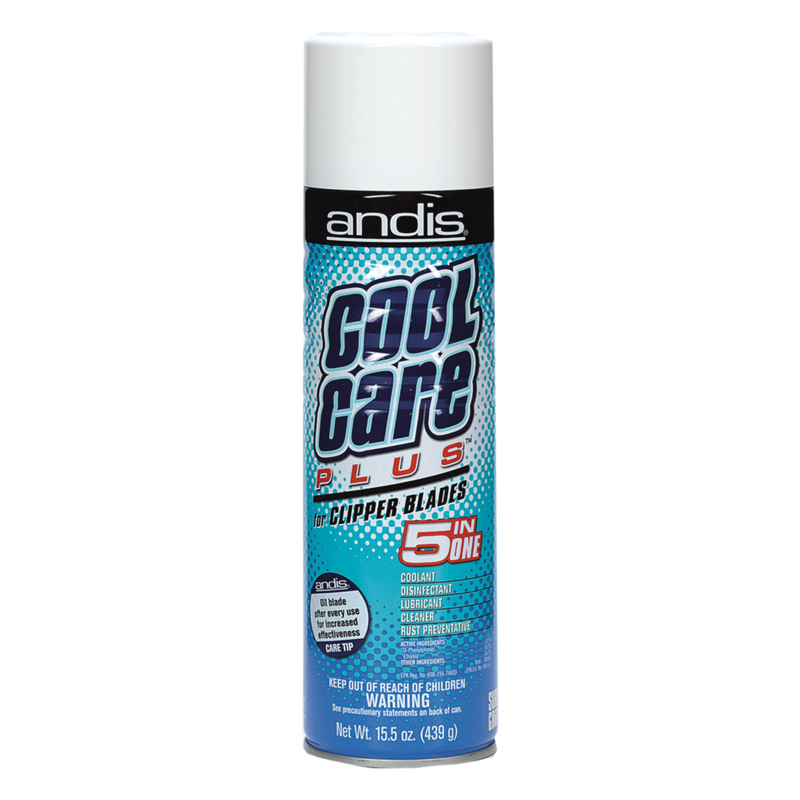 Formulated as an easy-to-use spray, this product cleanses, cools and lubricates blades, maximizing their performance, all without having to remove them from the clipper. Longer blade life is ensured, as is long-lasting sharpness. Five-in-One formula is a coolant, disinfectant, lubricant, cleaner and rust preventative. Get clean,cool, lubricated blades in one easy step without removing them from your clipper! The disinfectant is a virucide, fungicide, bactericide and tuberculcoide. HIgh pressure comfort tip nozzle sprays hair out of the blade teeth.